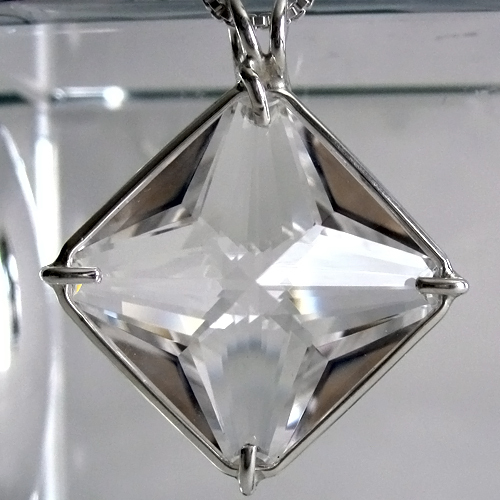 This beautiful clear quartz Magician Stone crystal pendant is of exceptional quality, both in the style of the stone and in the simple silver band setting which allows the stone to breathe and function at its highest vibration. This pendant comes with a simple sterling silver chain which will sit upon the thymus, between the throat heart chakra, where it will be of most beneficial resonance. Note: Weight above is shipping weight. Average weight of this pendant is .30 oz. Each piece is unique & may vary somewhat in dimensions & appearance and is guaranteed to meet with your complete satisfaction.